Angled design provides easy access to cards. Offers a clear view of contents. 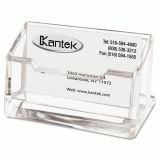 Kantek Acrylic Business Card Holder, Capacity 80 Cards, Clear - The angled, transparent design of this Clear Acrylic Business Card Holder provides easy access to cards. Offers an 80-card capacity. 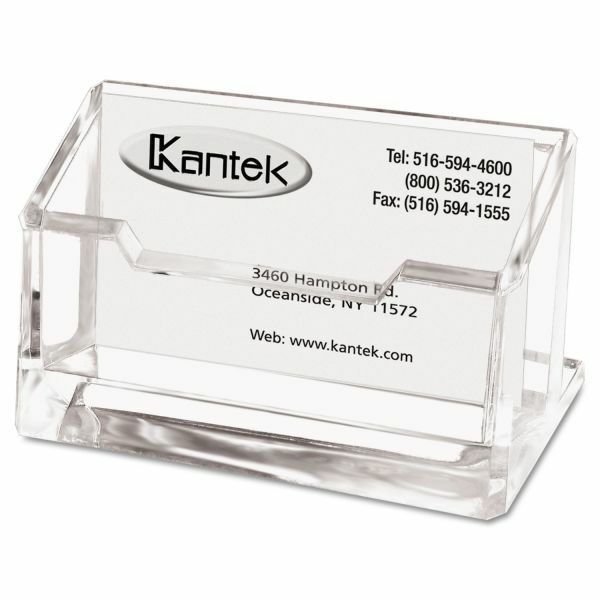 Made of heavy, polished cast acrylic for durability and a sleek, contemporary look. Includes nonskid feet.